Over the past two years the Government has pledged additional funding to the IRD, to enable the Department to carry out tax audits on individuals and businesses. An IRD audit can be stressful and costly, often requiring the services of accountants and lawyers. UHY Haines Norton is able to reduce the stress and costs of being audited by the IRD by offering tax audit insurance known as Audit Shield. 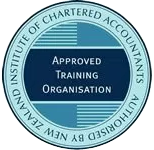 Audit Shield provides for the payment of professional fees incurred by a client when they are the subject of an audit or investigation by the IRD. Audit Shield insurance covers audits, official enquiries, reviews and investigations relating to income tax, GST, record keeping, fringe benefits tax, employer returns, gift duty, PAYE and computer tax audits. If you would like more information about Audit Shield or you are interested in taking out IRD audit insurance please contact us.